Sadly, there were two shootings in Crown Heights this week. On November 16th, there was a shooting at on Pacific Street between Troy and Schenectady, and on November 17th there was a shooting at Lincoln Place and Troy. 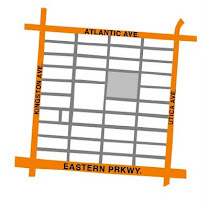 On November 16th there was also a fatal stabbing on Eastern Parkway and Schenectady. 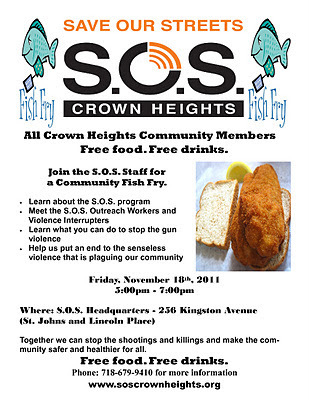 Come join us for two shooting responses on Saturday, November 19, 2011 to stand together and say that shootings and violence are not acceptable in our community. The responses will be at 5:00 PM at the corner of Pacific Street and Troy Avenue, and at 6:30 PM on Lincoln Place and Troy Albany Avenue. The Mediation Center's parent organization, the Center for Court Innovation, just released a paper about Save Our Streets Crown Heights and its implementation as a replica of the Chicago CeaseFire project. The paper uses S.O.S. as a case study to draw lessons in program replication and finds that several key areas need strong attention to detail in order to pull off a successful replication. S.O.S. encountered some challenges associated with replication in general, such as understanding the original model and adapting it to local needs, and some issues that arise in the CeaseFire model specifically, such as recruiting staff and demonstrating success. The paper also finds that S.O.S. was able to build off the Mediation Center's long history, positive reputation, and strong relationships in Crown Heights to create a successful program, and that administrative support from the Center for Court Innovation and technical assistance from Chicago CeaseFire has been critical to working out problems as they arise. Thanks to the Center for Court Innovation and the amazing TA team at Chicago CeaseFire for all your support! 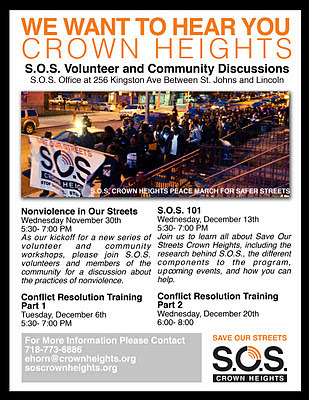 As the kickoff for a new series of volunteer and community workshops, please join S.O.S. volunteers and members of the community for a discussion about the history and practice of nonviolence. Join the S.O.S. Staff for a community fish fry! Learn about the S.O.S. Program, Meet the S.O. S. Outreach Workers and Violence Interrupters, learn what you can do to stop the gun violence, and help us put an end to the senseless violence that is plaguing our community. 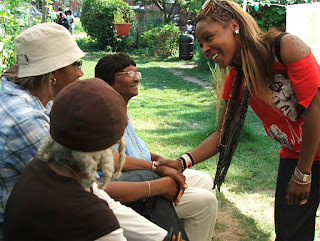 Together we can stop the shootings and killings and make the community safer and healthier for all. Call 718-679-9410 for more information. Outraged by the senseless death of Zurana Horton on November 1st, more than 250 people from Brownsville and neighboring communities departed from Pitkin Ave. and Watkins Ave. headed for Wall Street in Manhattan. The silent march across the Brooklyn Bridge aimed to bring greater attention to the problems of gun violence in the streets of inner-city neighborhoods. Residents of Brownsville, Bedford-Stuyvesant, Crown Heights and any other inner-city neighborhood know that gun violence is a problem and they know what needs to be done to stop it: what they need are the resources. The march was an extraordinary example of grassroots logistical organizing. Marchers were transported from the staging point at Pitkin Ave. and Watkins Ave. in cars and vans and in the vehicles of the truck and SUV clubs, Trucked Out, X Ryders and The Counsel to a parking and staging area on Cadman Plaza West that was arranged by NYPD. There, marchers walked behind two caskets, representing the deaths caused by gun violence, across the Brooklyn Bridge. A march of the bottom 10% of "The 99 Percent", participants continued past Zuccotti Park to emphasize the economic injustice of collecting revenue from the neighborhoods’ consumers and taxpayers and not allocating funds to those neighborhoods for education and for social and economic development. 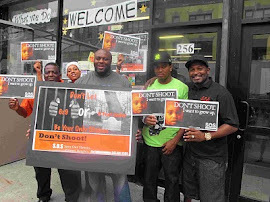 See an op-ed in The Daily News on ending the violence in Brownsville here. Allen has twenty-five years of experience as an organizational manager, project director, trainer and mediator. From 2009-2011 Allen worked in New Orleans as a community organizer and mediator focusing on police accountability and criminal justice reform. Prior to his move to New Orleans he was a project director for the New Jersey Institute for Social Justice, Executive Director of YouthBASE, Inc. in Brooklyn developing school-based HIV, STD and teen pregnancy prevention and violence prevention programs in public high schools. Allen also served as Executive Director of Playing 2 Win, Inc. in East Harlem and as Deputy Executive Director of The Fortune Society in New York City. 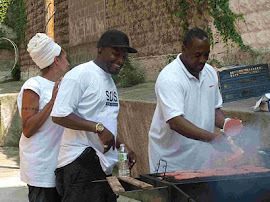 As a private consultant he has developed projects for Common Ground Community, Inc. HDFC, Non-traditional Employment for Women, NYC, the Single Parent Resource Center, NYC and other organizations. Allen was a Charles H. Revson fellow at Columbia University in 2003-2004.